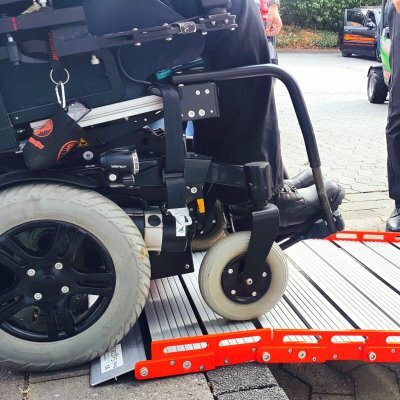 Stanley’s versatile roll up ramps enable you to add or remove modules to reach unlimited ramp length, meaning it can be used for a range of applications and functions. The user-friendly structure is highly portable. Simply roll up, wheel the ramp to the desired location and then unroll. 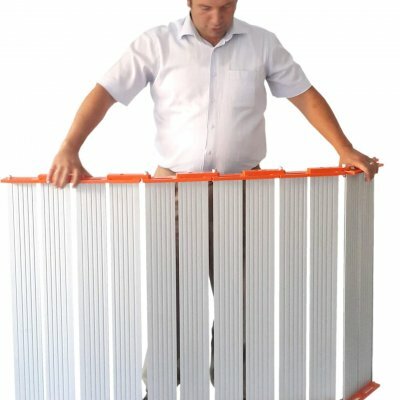 More modules can easily be added and removed to suit your needs. 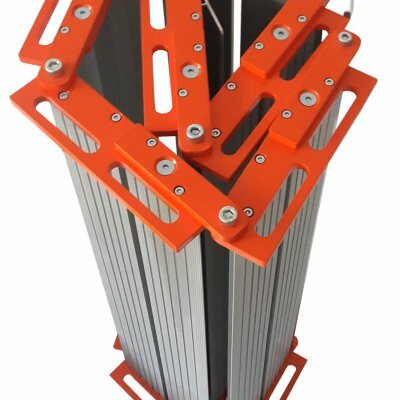 The structure is ready to use anywhere in seconds. The practical foldable design means that a minimum storage area is required, the Stanley ramp takes up limited space in the home or business environment. Safety features included provide peace of mind whilst you are overcoming stair thresholds. Each foldable ramp comes with 6cm side borders, anti-slip surface, can be used in any weather conditions and is made using robust aircraft aluminium materials. Gain access to friends and family, public areas or make your business life more convenient and safer with the use of a Stanley roll-up ramp. Establishing the correct ramp length is important for your safety. This is easy. Simply measure the total rise height, for example 0.5m, and apply against our recommended 1:8 gradient. 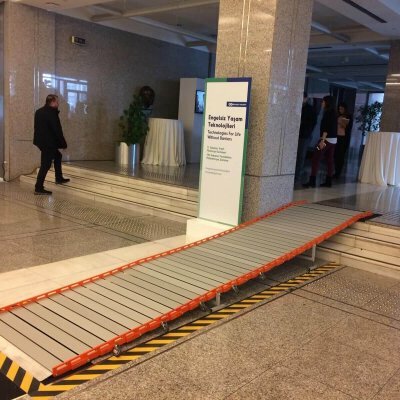 In this instance a 4m ramp would be required for optimal safety. Contact us if you are not sure which ramp specification is best for your needs.